‘Hola’ once more my Themysciran sisters and brothers, and welcome back to Classic Wonder Woman, Precinct1313’s weekly comic cover countdown to the 75th anniversary of Diana Prince. This week we present you with; Wonder Woman #329, written by Gerry Conway, with cover and interior art by Jose Garcia Lopez and Don Heck. Released in February 1986. Issue #329 marks the end of volume 1 of Wonder Woman’s amazing adventures, but the beginning of a whole new chapter for both the awesome Amazon and the DC Universe as a whole. The titanic tale secreted behind this classic cover is titled “Of Gods And Men”, and this special anniversary issue not only honours 50 years of DC Comics, but also forms part of the reboot of the DC Universe, through the Crisis On Infinite Earths storyline. 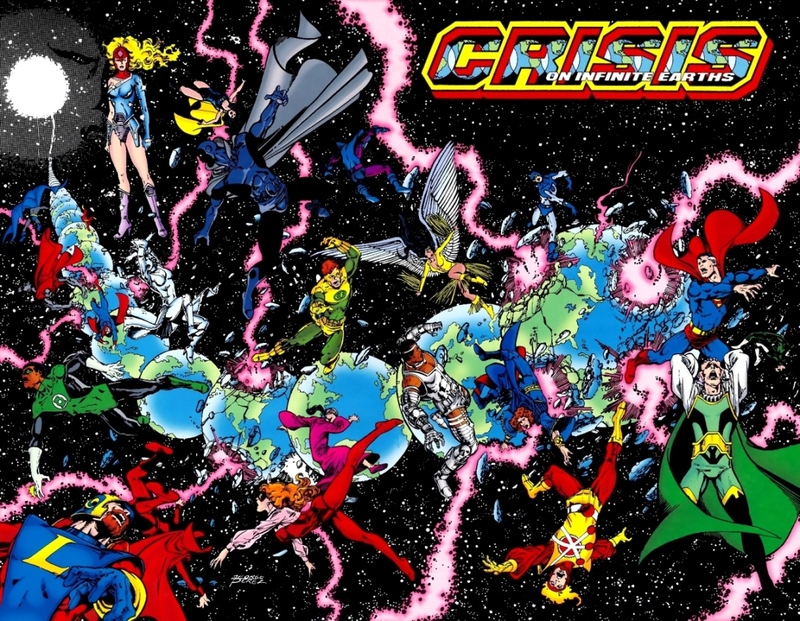 The Crisis On Infinite Earths saga was created to be part of DC’s celebration of 50 years of comic book publishing, but DC stalwarts Marv Wolfman, Len Wein and George Perez also saw it as a great opportunity to help bring continuity back into a comic universe that had become very convoluted and at times inconsistent with its own characters backstories. The series stood 12 issues in length and crossed over into every monthly comic that DC published, to make for an epic narrative that would have far reaching and dramatic influences on the heroes and villains of the DC Universe. But fear not fellow fans of the astounding Amazon, for Diana will return in volume 2 and a brand new first issue, which will follow post-crisis Wonder Woman on all new adventures throughout the rebooted DC Universe. A new day dawns on the shores of Themyscira, and Precinct1313 will be there to help guide you through it! Join us again next week for another classic WW cover, my adroit Amazonian associates! 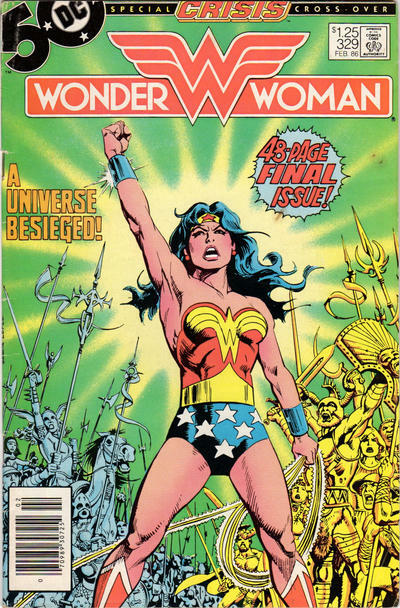 Posted on May 31, 2015, in Comics and tagged Classic Wonder Woman, Crisis On Infinite Earths, DC Comics, Diana Prince, George Perez, Len Wein, Marv Wolfman, Themyscira, Wonder Woman. Bookmark the permalink. 4 Comments. Not bad for a septuagenarian! Indeed my friend, thanks as ever for reading and commenting… have a fantastic day! Loved the Crisis stories and the 12 issue run. Perez is one of my favorite artists.